Google has announced that it has begun the process of scrubbing links from the web search results displayed when users type in certain search terms. 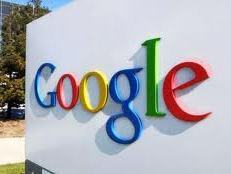 Due to a European court ruling, individuals can now ask for links to information about themselves to be removed from search results if the information is “inadequate, irrelevant or no longer relevant.” The ruling by the court applies to all search engines that operate in Europe. Google currently has a roughly 85 percent market share of search traffic in Europe. The search results are only being removed on Google.co.uk and on Google’s other search domains in Europe, not in the United States and other countries outside of Europe where Google operates. The links are still available on Google.com. In Europe, the pages will still show up by using non-name-specific keywords and will still exist on the news websites. Google has sent notification to several news and media outlets whose online content Google is removing from their search results. The notification from Google reads: “We regret to inform you that we are no longer able to show the following pages from your website in response to certain searches on European versions of Google.” Some examples of the type of information that is being scrubbed from the searches have begun to emerge. One of the links reportedly removed was a link to a 2007 article that questioned the role of about Stan O’Neal, Merrill Lynch’s former chief executive, in the bank’s demise during the financial crisis. The initial responsibility of determining whether information should no longer show up in search results falls to Google and the other search engines. The requests must be related to specific names for links to be removed. If a person believes that their claim for the removal of the link has been denied erroneously, they can petition for their country’s data protection regulators to intervene.